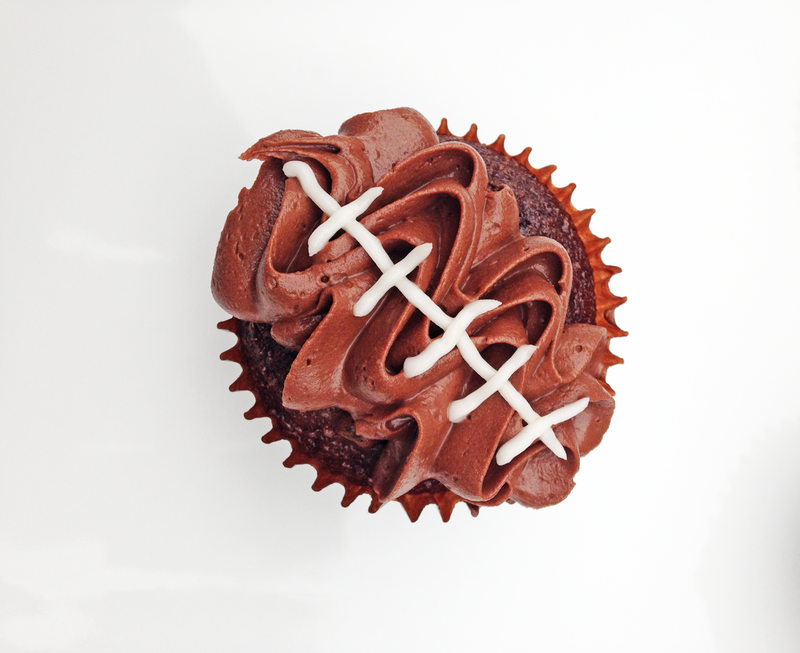 This football cupcake DIY was created for us by Shauna at Ella and Annie Magazine! 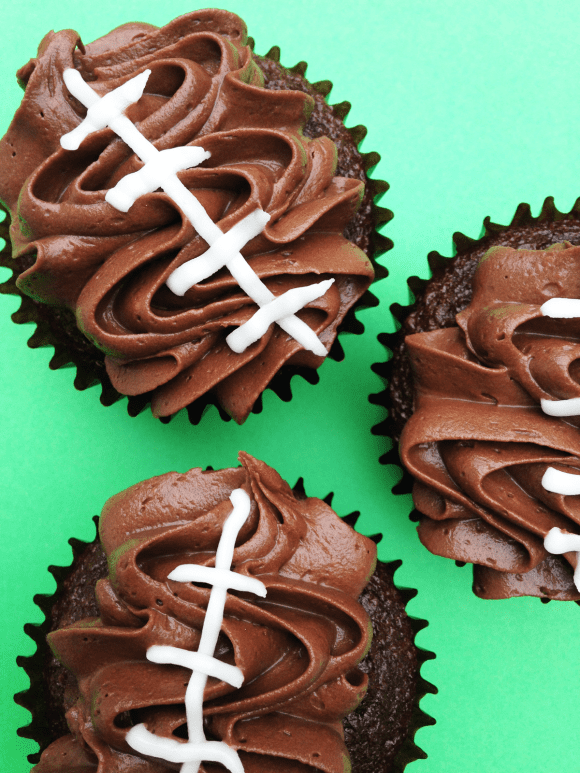 Thanks, Shauna, for such a simple but adorable tutorial for Game Day! Who's ready for the Super Bowl? In preparation for your Game Day parties, how about serving these football cupcakes to get your guest in the spirit. They are quick and easy to make. Best part, even a beginner can make these. Follow package instructions on cake mix box. Bake your cupcakes and cool completely. Place chocolate frosting in disposable decorating bag. In the second disposable bag, trim off the end and place the 1M tip inside. Cut off the tip of the first bag filled with frosting. Place bag #1 with frosting inside bag #2 with tip. Squeeze frosting in a zigzag pattern down center of cupcake. Fill your ziploc bag with vanilla frosting. Cut the tip off the ziploc bag (just barely!! super small tip). Using the ziploc bag draw a straight line (vertically) down center of chocolate frosting. Add 4-6 smaller lines (horizontal). Use photos for reference. Easy as pie! 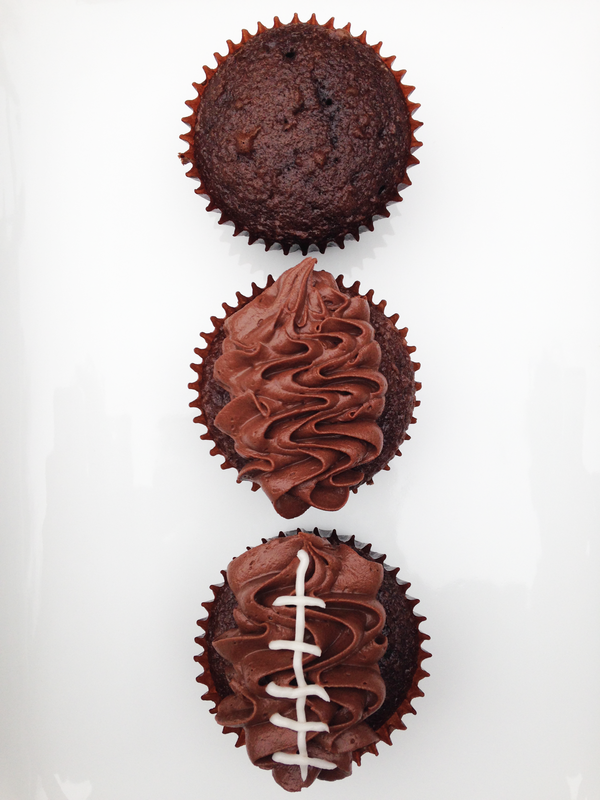 Happy Super Bowl Sunday! Who are you rooting for this year? I'm rooting for the Seahawks, because my husband loves the coach, Pete Carroll, from his days at USC. 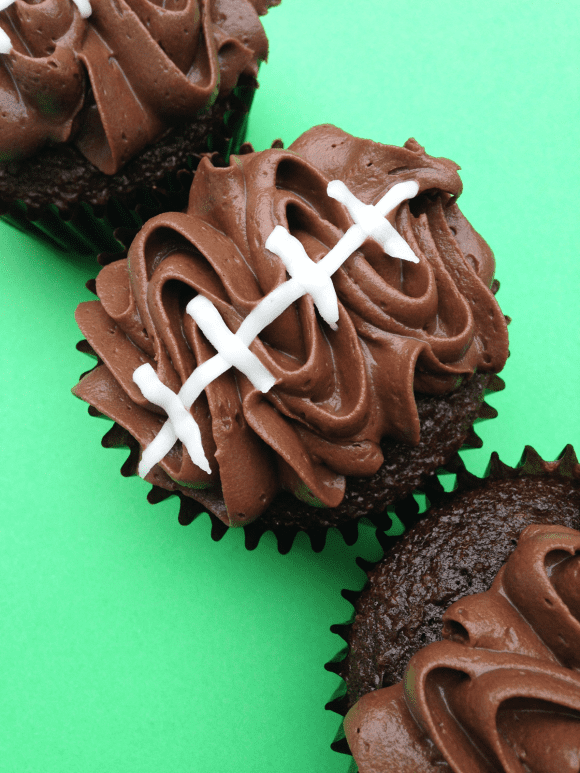 If you need Super Bowl party food idea, we've got them and free football printables!